It’s that time of year. A time many dread. Will I get a raise? Will I get laid off? What does my boss really think of me? As leaders we should be able to empathize with those we write reviews for. Most likely we have lingering doubts as our review approaches. If we don’t, that probably means our boss is doing some of the right things. Make sure you are doing them as well to help relieve your team’s anxiety. No surprises. My number-one rule in giving reviews is the employee should never be surprised by the feedback on their review. Feedback should be delivered year-round. You should always be looking for ways to praise and push your team. Once you have reached the annual review period, it should more resemble a session to confirm that everything the employee has worked on is documented. Give meaningful feedback. Feedback should be specific. Saying things like “You deliver great work” is not helpful. What is great work in your eyes? 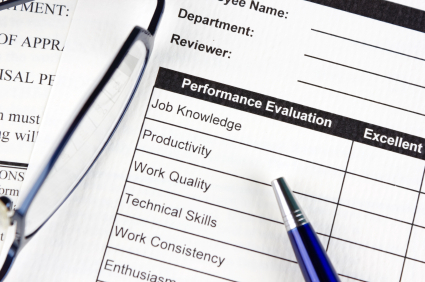 While the employee may agree with you, it may be based on a different set of criteria. When giving constructive feedback, ensure it is focused on the actions and not on the individual as a person. Talk about how their actions affect their success. When you do X instead of doing Y, you affect Z and it makes it so…(fill in the blank: your customer service scores go down, you are not respected by your peers, etc.). This will help them see their actions from a more arial view. Avoid favoritism (or even the appearance of favoritism). When writing reviews and doling out compensation, try to remove the emotional aspect. Sometimes people get on your nerves but still deliver great work. Sometimes if you like someone on a personal level, you have the tendency to overlook their flaws. Additionally, if you go so far as being friends with direct reports, it can be difficult to appear unbiased if your relationship extends past work hours. There are many schools of thought on work friendships. Looking at it from your team’s perspective, I would say that if a leader is friends with one or two team members and does not make the same effort with the rest of the team, it will come across as favoritism. It’s not fair. It just is what it is. You can try to combat this by taking the rest of the team out, as individuals, to lunch and trying to get to know them on a more personal basis. Or, to be really safe, adopt the philosophy of no non-work activities with people who report to you unless the entire team is invited. Grammar rules apply. It is very disappointing to receive reviews (or any other official company documentation) with misspellings, incorrect punctuation, or grammar errors. This says to the employee that they weren’t important enough for you to take the time to re-read what you wrote to ensure it was professional. Be as transparent as the company allows (and maybe a little more?). It seems the review process is all very hush-hush. I have been reading about companies that take a more transparent approach, and the results are intriguing. It seems people like to work for companies (i.e. less turnover) that share with the team everyone’s review scores. These companies have varying levels of transparency. Most just share the overall score, while a few out there share all the feedback. Sharing overall scores among the team seems to be a way to force leaders to be fair, and it allows employees to know who role models are. If your company doesn’t allow this transparency, at least promote transparency through sharing with the employee what it takes for them to get where they want to go. Avoid vague phrases, and describe to them what a top-performer looks like in your eyes. Review time is a prime opportunity to connect with each team member and add another coin into the bank of trust. If you surprise your team, play favorites, or don’t put time into their review, then you will lose some respect from your team. Make sure you are removing as much anxiety from your team as possible through transparency and year-round communication.